.... Stanley Hauerwas, one of the most distinguished and surely most interesting Christian thinkers of the modern era, has been in the middle of this moral and theological fray for decades, arguing in various ways that being a Christian means never killing others in war. 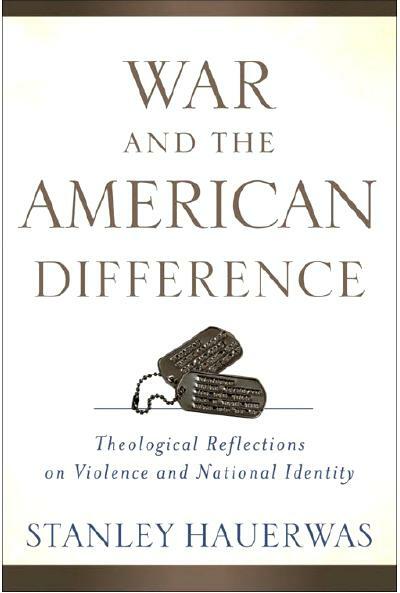 His new collection of essays, War and the American Difference, is his latest effort to show what it would mean to abolish war, and what it would mean to really live as Christ lived, and to live in the faith and knowledge that Christ’s coming has changed everything. In fact, the central argument of the book is that war has already been abolished, because in Christ we have a way—the only way—to live in peace in the face of the world’s evils. Darrell Cole, in "The Problem of War" summarizes C.S. Lewis on the subject of Christian pacifism.